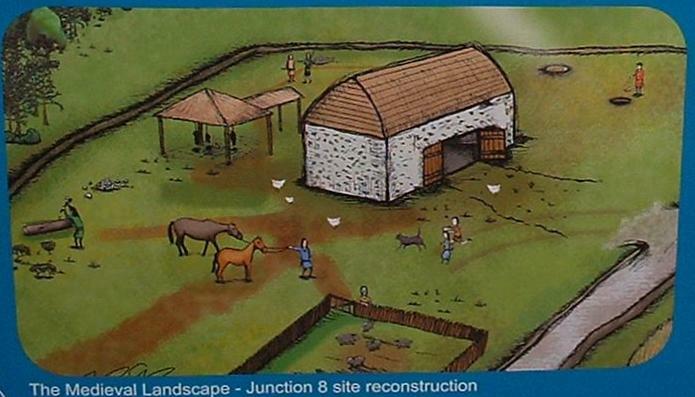 1086 And The Domesday Survey. - Leverstock Green, Westwick, and Rectory Manor (Chambersbury ) are not mentioned as Domesday settlements. However, that does not mean to say that there was necessarily no settlement within our area of study at this time. (In fact there are various pointers to suggest that there had been continuing settlement from Roman times.) Kings Langley, Abbots Langley, St. Albans, Redbourne and Hemel Hempstead are all listed in Domesday, and as their respective lands spread to and converged upon the area of study, settlement within the area would have come under the headings of one or more of the villages previously mentioned. This is because the entries related to manorial lands rather than nice tidy villages. 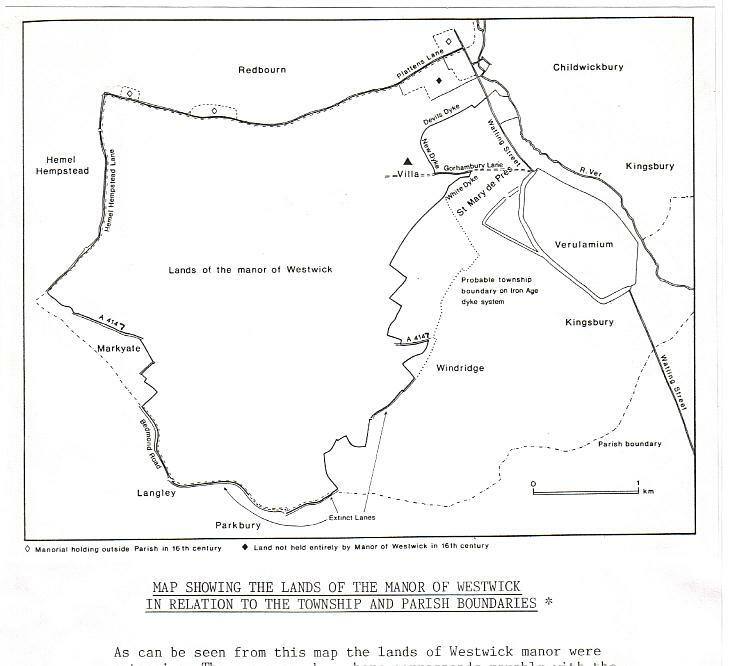 In addition, by the time of the Domesday survey, the manor of Westwick was to all intents and purposes under the control of the monastery at St. Albans, providing income for the refectory. Westwick's returns would therefore have been included in those for the monastery as a whole. 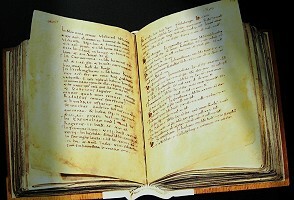 In the same way that Domesday referred just to "manors", many documents from the later middle ages until as late as the early twentieth century, referred either to manors or to parishes. This is largely because the system of law and government was based upon manorial holdings during feudal times, and parishes from Tudor times. It was the local "vestry" that was responsible for implementing the Poor Law. If someone was referred to as having come from a particular place, it generally referred to the parish in which they lived rather than the centre of that village or town. 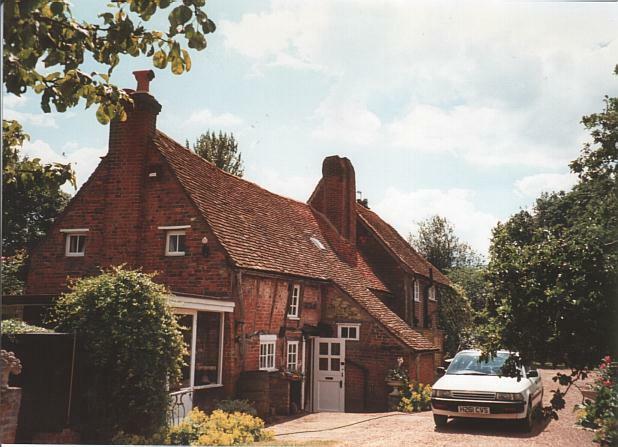 Therefore a person, or grant of land being in say Abbots Langley, (either the medieval manor, or the roughly similar pre-nineteenth century parish), could just as easily refer to North End Farm or Carpenters Farm (at the most northerly end of the old Abbots Langley parish) as to the land surrounding the "village" and the church of Abbots Langley, three miles distant. [S74 ] It was only really after the development of the relatively modern postal system, that addresses as we know them today came into being. This differing perspective between the twentieth century and the eleventh, makes extracting relevant information from ancient documents difficult, as there would at first sight appear to be no references made to the immediate area. "Then all the lands of Westwick, which had been granted to Humball for his life, and which at first had been set apart for the use of the monk's table, he granted to the son of Humbald, who had married a sister of Geoffrey. He granted also some lands, near Westwick to a familiar friend and client, who had been born of obscure origin at a small hamlet in Normandy, called Gorham, and this he confirmed by charter." As the above quotation refers to two separate grants of land, is this then why later we have both Westwick and Gorhambury given as separate manors or villages/hamlets? Westwick itself being in the vicinity of Westwick Row, and the place of the Gorhams at Gorhambury.